welcome to innovative bed systems INC. 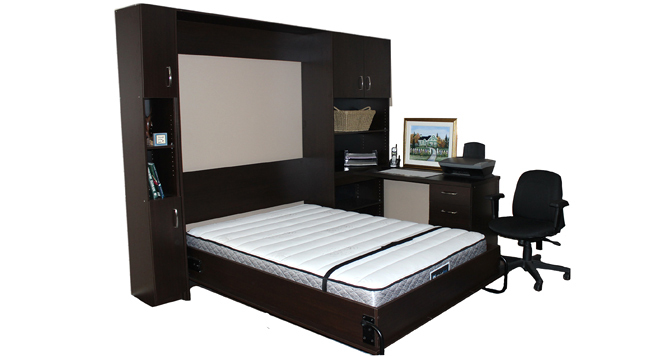 Innovative Bed Systems, specializes in wall beds, often referred to as Murphy beds, and matching side cabinets. All of our products are manufactured to the highest quality standards and are available in a wide selection of colour choices. We offer a complete product line of component furniture that utilizes the convenience of a Wall Bed with the versatility of adding cabinetry to compliment any space. With this concept customers have the flexibility to pick and choose numerous cabinets, bookshelves, and desk systems to build the room that fits their lifestyle. Just imagine turning any space into a spare bedroom in seconds, then having that same space as an office, sewing room, or exercise area. 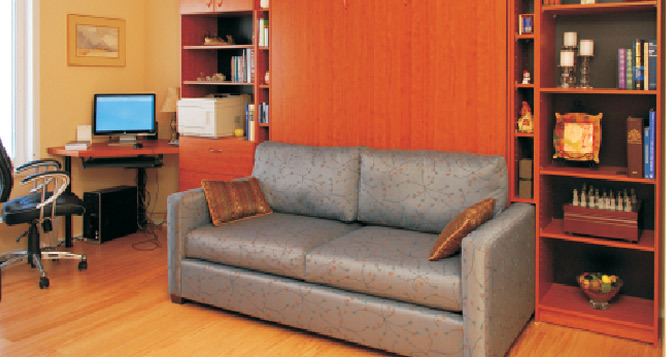 You can even create a comfortable sitting area with our professionally designed sofa wall bed system. The possibilities are only limited by your imagination. Our systems are available as cash and carry, flat packaged and shipped anywhere in the world or delivered and installed by our professional team. Please contact us at 403-945-1882 for information or to schedule an appointment to visit our showroom just 10 minutes north of Calgary City limits. 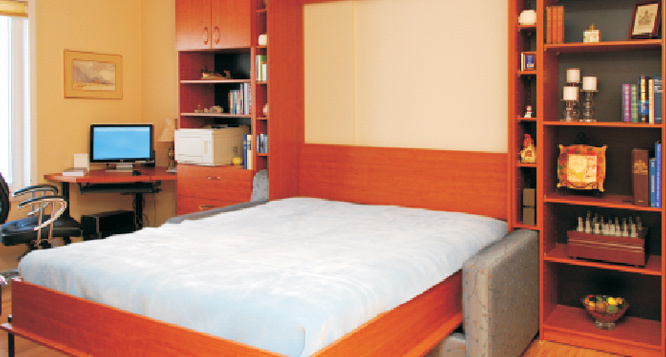 Wall bed systems, designed to meet your needs and your budget. Problems with your closet space? 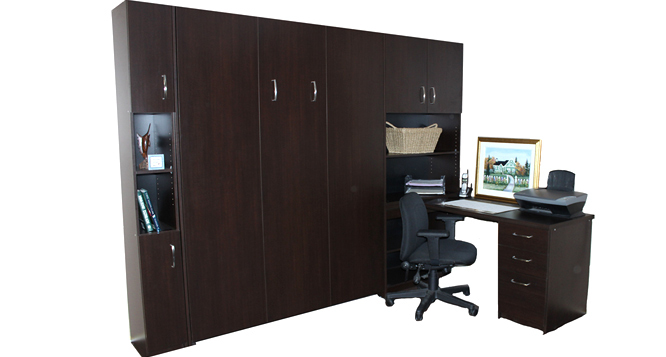 Innovative Bed Systems now provides an off the shelf, cost effective, solution to your closet space issues. Please contact us for more information. Tuesday - Saturday: 10 a.m. - 5:00 p.m. Copyright © 2015 Innovativebedsystems. All Right Reserved.